Studies have shown that people who follow the recommended daily intake of protein can lose more weight than those who don’t. We’ll look at how incorporating protein into each meal and snack can help you take off the pounds. Your body requires large doses of protein, fat, and carbohydrates for survival. Of these macronutrients, protein keeps you full the longest. Studies show a high-protein diet increases leptin activity. Leptin is the “satiation hormone.” It tells your brain you’ve got plenty of stored fuel and keeps you from overeating. Leptin is instrumental in weight management. When you continue to feel full, you’re less likely to go back for seconds at mealtime, pick between meals, or cheat on your diet. Eating less over time will help you lose weight. A high-protein breakfast is particularly useful. It’ll keep you full longer and curb your appetite throughout the day. And, at each meal and snack, eat your protein source before the carbohydrates and fats. Ghrelin is another appetite hormone that affects your eating behavior and weight loss efforts. Known as the “hunger hormone,” it tells your brain you’re hungry, and it’s time to eat. Dietary protein reduces ghrelin levels and keeps hunger at bay. Although carbohydrates cause ghrelin to decline rapidly, making you full soon after eating, ghrelin levels rebound soon after. As a result, you’re hungry again in no time. After a high-protein meal, ghrelin gradually declines and does not rebound, keeping you satiated longer. The thermic effect of food is the calories needed to digest that food into small, absorbable components. Each of the macronutrients, carbohydrates, fat, and protein have different thermic effects. Protein’s thermic effect is higher than that of carbohydrates and fats. Although studies vary, most conclude that your body burns off 20-30% of protein’s calories through its digestion, absorption, and transport. The carbohydrate thermic effect is only 5% to 10%, and that of fat is even lower, at 0% to 3%. While you shouldn’t replace carbs and fats with protein for its thermic effect alone, the extra calories burned with protein will help with your weight-loss efforts. After a meal rich in simple carbohydrates, your blood sugar spikes and insulin kicks in to make sure your blood sugar doesn’t go too high. This rapid rise in blood sugar and its insulin response leads to a dip in blood sugar, making you hungry again soon after you’ve eaten. Protein can curb the spikes in blood glucose and insulin, preventing the corresponding dip, and keeping you full longer. As we’ve seen with the hormonal response to protein and protein’s thermic effect, replacing simple carbohydrates and fat with protein sources will keep hunger at bay. You’ll eat less and lose weight. A high-protein diet combined with strength training burns even more calories, contributing to weight loss. When you work your muscles against resistance, you create micro-tears in your muscle fibers. Dietary protein not only helps to repair those tears but to strengthen and grow your worked muscles. This muscle recovery process requires energy in the form of calories. This new muscle gained through training is metabolically active, which means it continues to consume calories for as long as you have it. The more muscle you gain through strength training, the more calories you burn to maintain it. 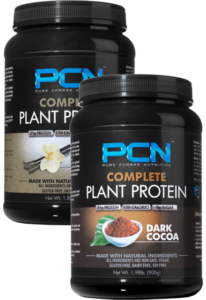 Incorporating great quality protein like PCN complete plant protein, into a balanced diet is an easy and effective weight-loss tool. It helps control your appetite, reduce cravings, manage blood sugar and burn extra calories. Aldrich, Noel D., Courtney Perry, William Thomas, Susan K. Raatz, and Marla Reicks. 2013. “Perceived Importance of Dietary Protein to Prevent Weight Gain: A National Survey among Midlife Women.” Journal of Nutrition Education and Behavior 45 (3):213-21. CSIRO. 2018. “Is Breakfast Protein the Secret to Weight Loss?,” January. CSIRO. 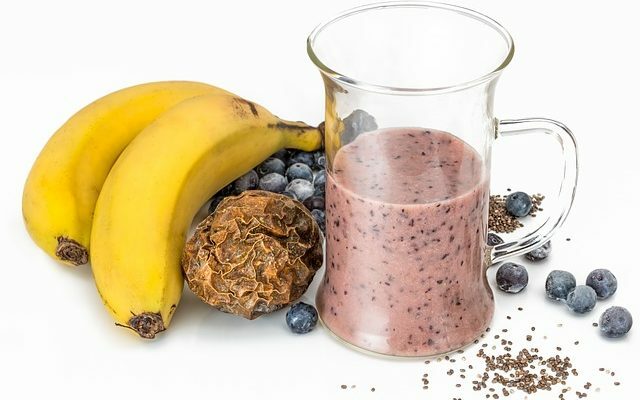 https://www.csiro.au/en/News/News-releases/2018/Is-breakfast-protein-the-secret-to-weight-loss. Izadi, Vajiheh, Sahar Saraf-Bank, and Leila Azadbakht. 2014. “Dietary Intakes and Leptin Concentrations.” ARYA Atherosclerosis 10 (5):266-72. Jakubowicz, Daniela, Oren Froy, Julio Wainstein, and Mona Boaz. 2012. “Meal Timing and Composition Influence Ghrelin Levels, Appetite Scores and Weight Loss Maintenance in Overweight and Obese Adults.” Steroids 77 (4):323-31. Tappy, L. 1996. “Thermic Effect of Food and Sympathetic Nervous System Activity in Humans.” Reproduction, Nutrition, Development 36 (4):391-97. Weigle, David S., Patricia A. Breen, Colleen C. Matthys, Holly S. Callahan, Kaatje E. Meeuws, Verna R. Burden, and Jonathan Q. Purnell. 2005. “A High-Protein Diet Induces Sustained Reductions in Appetite, Ad Libitum Caloric Intake, and Body Weight despite Compensatory Changes in Diurnal Plasma Leptin and Ghrelin Concentrations.” The American Journal of Clinical Nutrition 82 (1):41-48.